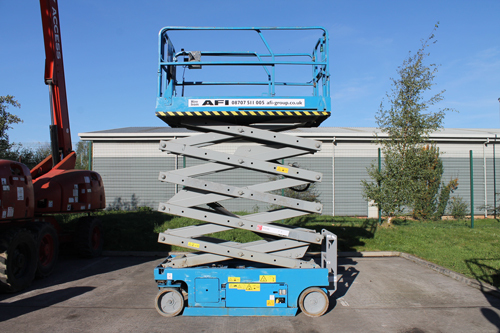 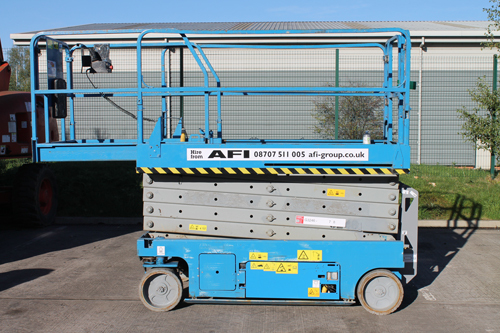 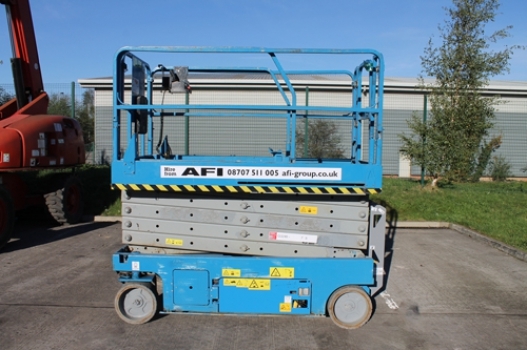 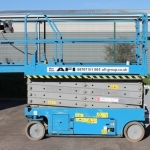 The Genie GS3246 electric scissor lift, with a working height of 11.75m, can easily pass through standard single or double doors, an electric self-propelled scissors are ideal for indoor use with 2 operators onboard. 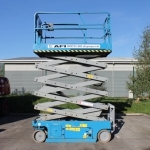 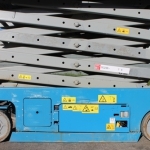 This low-emission electric scissor lift delivers a quiet, convenient method for operation in sound-sensitive environments like office buildings, shopping centres, hotels, schools and more. Front-wheel drive and zero inside turning radius for excellent manoeuvrability in tight spaces like congested construction sites, elevators and narrow aisles. 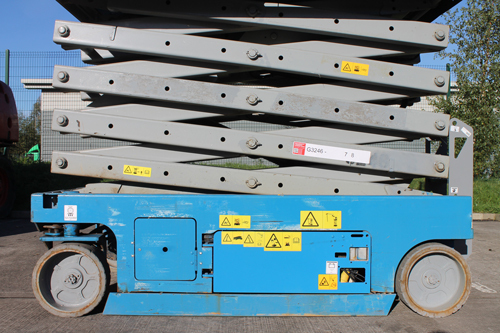 Solid non-marking tyres as standard and on-board diagnostics help operators troubleshoot quickly and make adjustments in the field to maximize uptime. 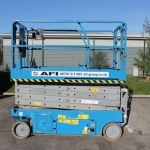 Swing-out battery box and power module trays allow easy access to engine components for convenient service.